The world of beauty products is completely new territory for me, I’m not gonna lie! 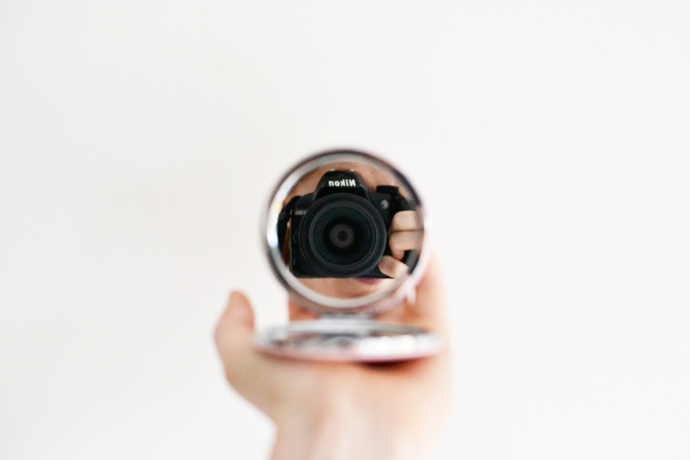 I’ve only recently started testing the some of the beauty products that I receive for my blog. In the past I’d much rather rather pass them on to my girlfriends, often in exchange for outfit photos or quick instagram shots. It was a win-win situation! 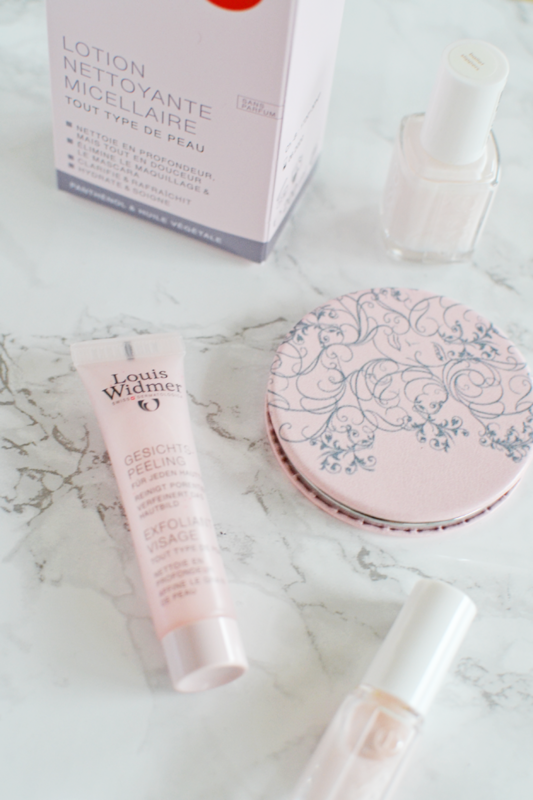 With my beauty stash growing significantly over the last few months I thought I might as well give a few of the products a go myself and see how I like them. First up: Louis Widmer 3-in-1 facial cleansing lotion & peeling. As most of you know I do not wear make up. However, that does not mean I can jump straight into bed every night without having to care for my skin! Until I received the 3-in-1 facial cleansing lotion to review I would use a simple cotton pad infused with tap water to clean my face mornings and evenings. You’d be surprised at the dirt that would come off, even without wearing any make-up. I use a serum and gentle scrub from Sothys 1-2x a week to do the rest of the cleansing work. This routine has worked fine for me over the last months. 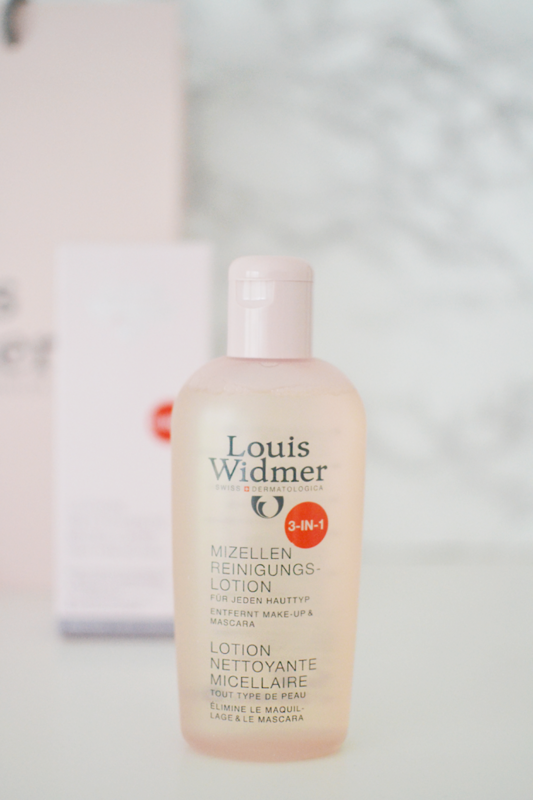 And then the Louis Widmer’s 3-in-1 micellaire cleansing lotion came along. The promise? Making your beauty routine more fast and efficient by combining a make-up remover, tonic (no alcohol) and cleanser all in one product. Applying the lotion is easy peasy: put lotion on a cotton pad and gently wipe your face clean. The micellar element can take on both make-up and mascara and should leave your face feeling fresh, hydrated and nourished. No need to rinse the product off with water afterwards. You could use a gentle peeling as an extra step in your routine to deep-clean your pores. According to the packaging both the lotion and peeling that I’m showing you today should be suited for every skin type. Being a beauty noob, I had to look up what “Micellar Water” is and what makes it so special. In case you are wondering too here’s the deal in short. Micellar water supposedly cures any dry patches in your skin, evens out your tone and hydrates. It also has magical cleansing powers. Oh yes. Micellar water contains micelles, tiny little oil molecules that attach themselves to any type of dirt you might have on your skin, soak it loose and dissolve it. At the same time the active ingredients hydrate and care for your skin to keep it healthy and balanced. You might need two or three cotton pads, but this stuff is rumored to be powerful enough to clean a whole face of make-up all on its own. That pretty much sounds like a beauty queens dream, right? Let’s see what it does for make-up free me. First thing I noticed when I opened the bottle: no perfume. Fresh out of its box and scoring points already! The tip of the bottle allows for moderate amounts of lotion to drip on my cotton pad. No unexpected stream of lotion spilling out all over the sink (Unless you squeeze the bottle, don’t do that). As soon as I apply the lotion to my face I do smell a gentle pharmacy-like smell. I don’t know how else to describe it, haha. It’s not a synthetic perfume, it’s more like the natural smell of the ingredients used. Looking at my cotton pad it clearly does take off more dirt than regular water does. Eh, let’s not show you a picture of that. The lotion also makes my face feel more hydrated after use than before and I love love love that there’s no alcohol in it. No dry, pulling skin afterwards! I did follow up with my Sothys day/night cream for extra hydration. I tested this product 2x daily for 7 days. Will I continue using this product? Yes. Am I already a micellar water convert? No. I love how this product makes my face feel clean and well-cared for after use. It’s nice to have something different that regular water to clean my face with too. But after using it for 7 days I must also admit that I have not noticed the effects of the micellar water. I still have the odd dry patch here and there and I don’t see any difference in my skin tone either. 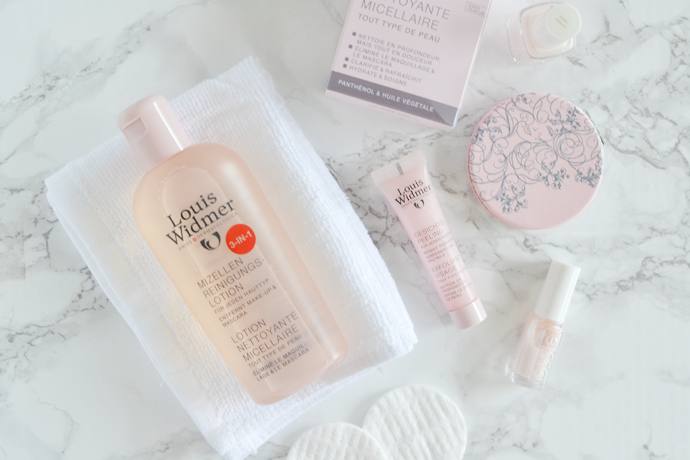 I will continue using the Louis Widmer 3-in-1 Micellar Cleansing Lotion, but I will not re-buy after I finish my bottle. It’s great this works so well for you! I’d never heard of the brand before either. 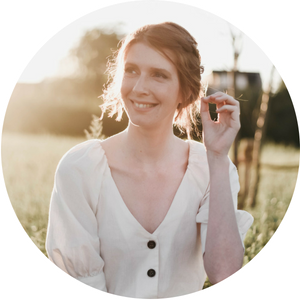 I had a makeup artist cleanse my face with micellar water once and I hated how it made my skin feel – I have super sensitive skin, I think I’ve really just lucked out finding the products I have and I’m wary of changing them. The place I got my current go-to from suggested a similar product from the same line and now I’ve got very angry skin, haha! I am back to my normal products and hoping it clears up before Christmas. That’s $40 down the drain!